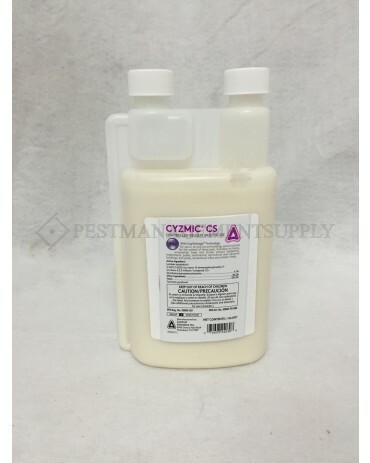 Cyzmic CS provides quick knockdown of insect pests in a powerfulmicro-encapsulated formulation (CapVantage) for long-lastingcontrol and little to no odor. CapVantage Micro Encapsulation meansthat each droplet of insecticide is encased in a protectivemicroscopic capsule, which provides a long residual even in directsunlight. Micro cap also means the product can be more easilypicked up by the tiny hairs on insects and especially flyinginsects. The micro-encapsulation also provides additional benefitsto the applicator, including reduced exposure to the activeingredient. All-around, Cyzmic CS is a longer-lasting, moreeffective product on a wide range of insect pests including bedbugs, ants, mosquitoes, beetles, flies and more. Cyzmic CS can bereapplied at 21-day intervals if necessary. 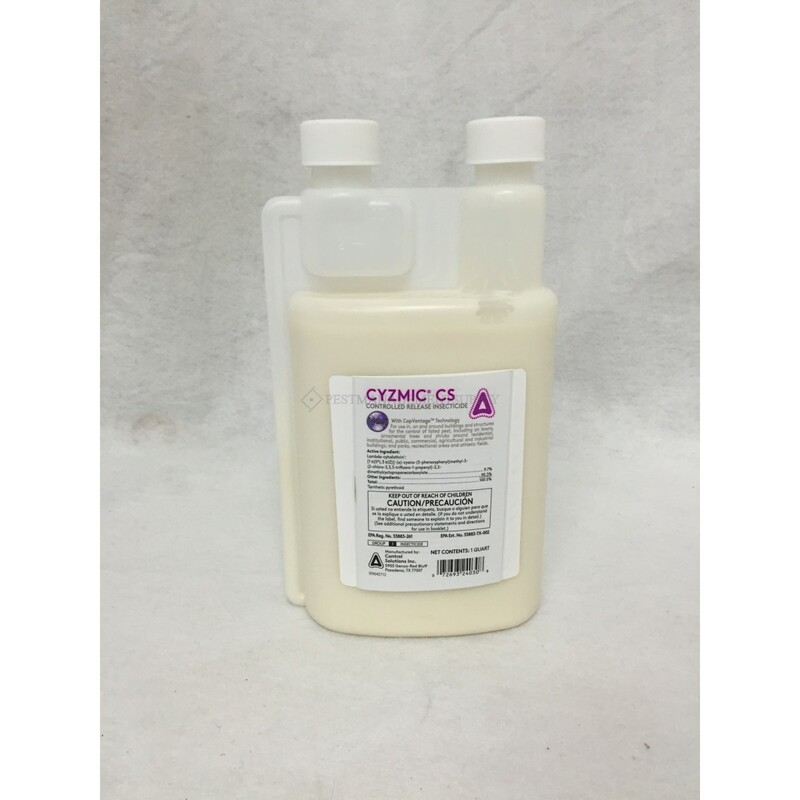 CYZMIC CS is for use as a general surface (nonfood/nonfeed areas), crack and crevice, or spot treatment in, on, and around buildings and structures and their immediate surroundings, and on modes of transportation. Areas of use include, industrial buildings, houses, patios, porches, closets, furniture, apartment buildings, mobile homes, laboratories, buses, greenhouses (non-commercial), stores, factories, warehouses, wineries, vessels, railcars, trucks, trailers, aircraft (cargo and other non-cabin areas only), schools, nursing homes, hospitals, mausoleums, restaurants, hotels, correctional facilities, livestock/poultry housing, pet kennels, food granaries, food grain mills and food manufacturing, processing, and servicing establishments.